In 2010, aiT was integrated into the SCADE Suite, the mar­ket-leading mission and safety-critical embedded software de­vel­op­ment environ­ment from Esterel Technologies. SCADE is the only model-based design solution to offer DO-178B qualified C code gen­er­ation up to level A, certified IEC 61508 C code generation up to SIL 3 and certified EN 50128 C code generation up to SIL 4. 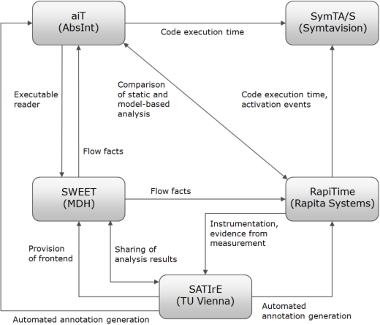 Thanks to aiT, SCADE is the first embedded-software development environment worldwide to feature WCET analysis at the model level.